This has been a crazy busy week, and although fun, the weekend is far from a relaxing kind of weekend for me. Part of it due to the fact that I’ll be celebrating on Saturday night the end of a year of life and the beginning of a better, stronger and more exciting one… ’cause we can only get better with time, right? Like a good wine or whiskey. Celebrate my birthday with me with this sweet cocktail! Shake with ice and strain into a shot glass. 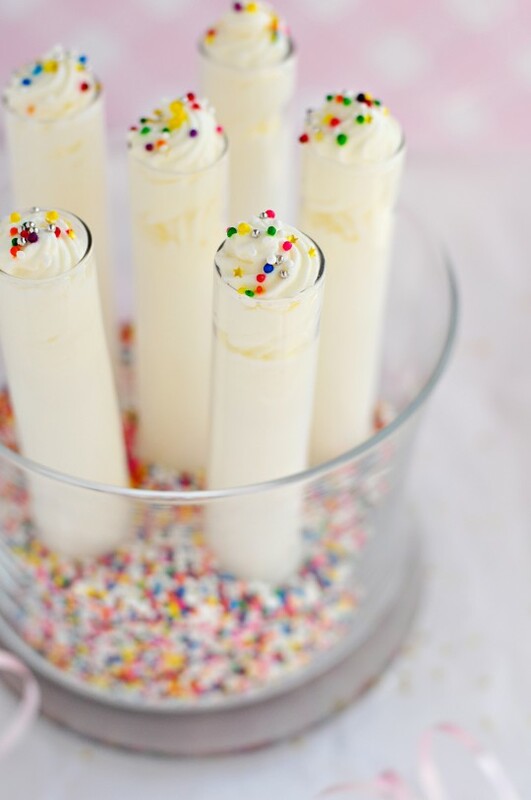 Top with whipped cream and colored sprinkles.